Tropezia Palace Casino :: Vintage Vegas slot – PLAY NOW! What happens in Vegas stays in Vegas – Unless it is a BIG WIN in VINTAGE VEGAS ! A neon-lit tribute to the glorious glamour of Las Vegas in 60’s and 70’s. Cruise in a classic convertible for a retro trip down the Vegas strip. 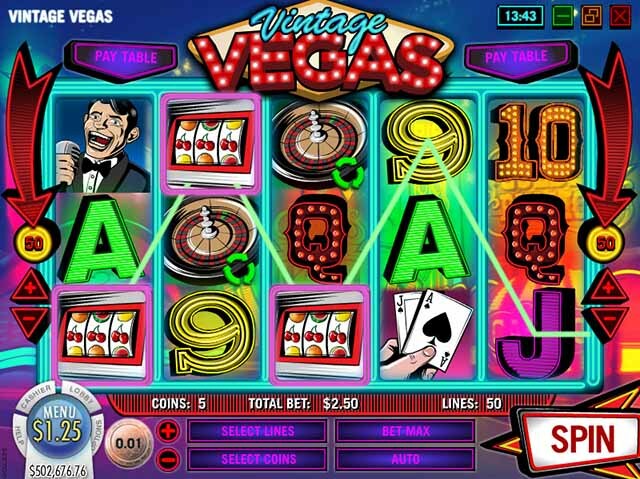 Vintage Vegas is a 50-Line, 5-Reel slot inspired by the glitz and glamour of Sin City in the 1960’s & 70’s. Neon lights, high-kicking showgirls, menacing mobsters, sauve lounge singers, and the dreams of winning big at a major casino. 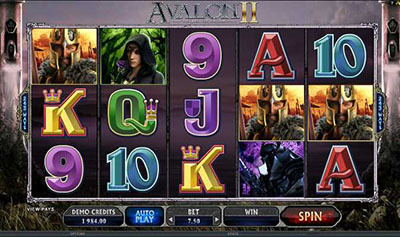 Icons also include blackjack, craps, roulette and of course slot machines. You’ll even see electrified 9, 10, J, Q, K, and A icons radiating, blinking, and sometimes blowing out. 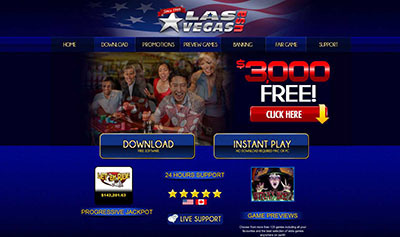 Vintage Vegas isn’t all flash though, you can win up to 60 free spins in the Vintage Vegas Free Spin round, where the wild icon has an 11X multiplier. During free spins there’s even a chance to win up to 75 more free spins! This slot is a safe bet for a great time, up the ante with Vintage Vegas!